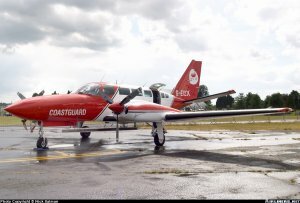 One Cessna 404 Titan II operated by Air Atlantique (initially as Atlantic Air Transport Ltd, now Reconnaissance Ventures Ltd) under contract for locating and reporting maritime pollution. 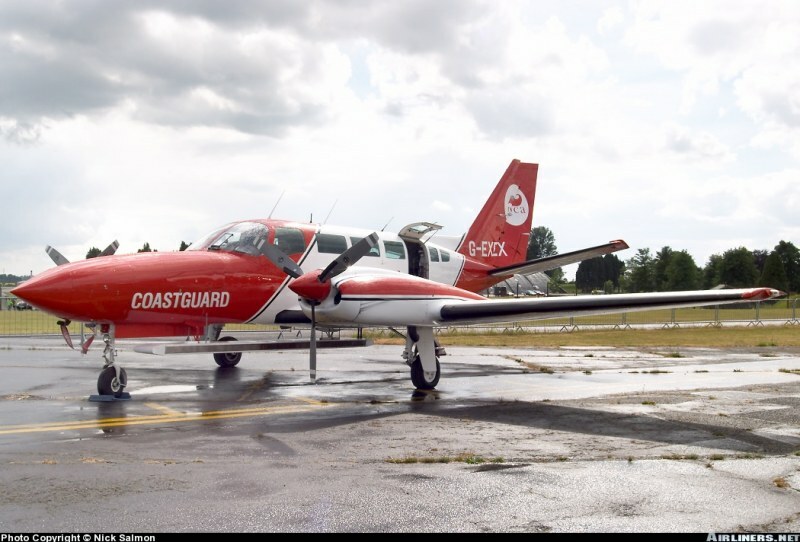 This aircraft was initially G-TASK, but replaced circa 2002 by G-EXEX. 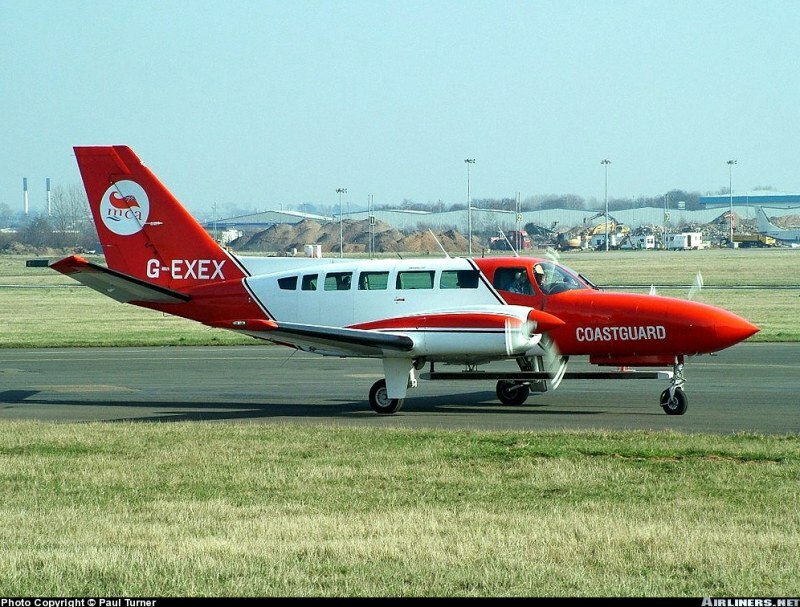 The latter was fitted with Sideways Looking Airborne Radar (SLAR), Ultra Violet (UV), InfraRed (IR) and visual sensors while the former had a reduced fit including only a single SLAR antenna on the port side. Based at Inverness Airport. March 2004. 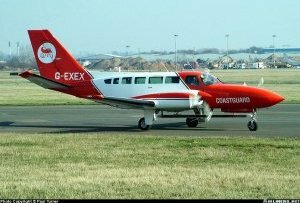 (photo, Paul Turner) G-EXEX seen at Kemble in June 2004.